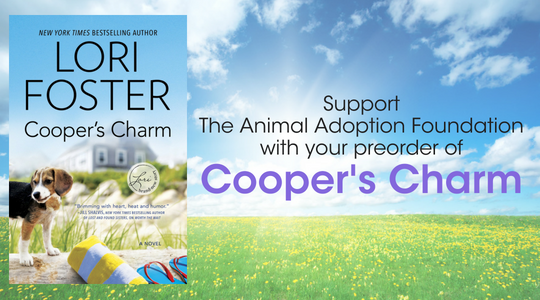 Are you looking forward to Lori’s next new story, Cooper’s Charm? It’s the first book in her brand new Love at the Resort Series, and will be releasing on July 31st in digital, paperback, hardcover and audio. Lori is a huge animal lover and one of her favorite charities is the animal adoption foundation. Your pre-order can help her reach her goal of raising the maximum of $5000 for this great organization! When you submit your proof of pre-order through this form, Harlequin will donate $1.00 (up to $5000 total to this amazing cause). If you haven’t pre-ordered yet, you can get started with an excerpt (check out the extended excerpt in the free summer reads sampler, Sweet Summer Breezes) and see all available editions for order. Then, head over to submit your preorder and pat yourself on the back for helping animals in need.